In part 2 of our review of the best lenses for the Nikon D3400, we’re looking at the performance of zoom lenses. More versatile than a fixed focal length prime lens, zoom lenses are often preferred by entry-level DSLR shooters, thanks to the convenience of having a range of focal lengths in a single lens. Image quality isn’t quite as good on a zoom compared to a prime, however, with generally lower lens metric scores recorded in our tests, although some zooms come pretty close to primes. The physics of constructing a zoom lens means that very wide maximum apertures such as f/1.4 or f/1.8 are also rare, although some of the best performers in this review boast wide f/1.8 or f/2 maximum apertures. The new Tamron 18-200mm f/3.5-6.3 Di II VC (Tamron 18-200mm f/3.5-6.3) is a super-zoom lens for Canon, Nikon and Sony APS-C sensor DSLRs. Offering a wide-angle through to long telephoto focal length in a single optic, it’s an ideal all-in-one shooting option for photography day trips and convenient general use when you don’t want to keep changing lenses. We’ve tested the new 24-Mpix Nikon D3300 with more than 140 Nikkor and third-party prime and zoom models to assess image quality. Read onto find out which of these lenses have the best image quality when paired with the new camera. Following the lens recommendations for Nikon D7100 and entry-level D3200, we’ve now turned our attention to the new mid-range D5300. We’ve tested the camera with more than 140 Nikkor and third-party prime and zoom models to assess image quality. Read onto find out which of these lenses have the best image quality when paired with the new camera. We’ve now had the opportunity to assess the entry-level 24-Mpix Nikon D3200 with a wide range of lenses. We’ve analyzed a total of over 140 Nikkor and third-party prime and zoom models to assess image quality, and to discover which of those models perform best on the camera. Read on to find out the models you should be looking to use and which ones you should try to avoid. The Nikon D5300 is the successor to the year old D5200 featuring a similar 24-Mpix CMOS sensor of it predecessor but lacking an optical low pass filter for improved clarity. Read on to find out how well the new camera performs. In our recent round up of lenses for the high-resolution 24PMix Nikon D7100 we revealed that the earlier Nikkor 18-135m f/3.5-5.6G IF-ED ‘super-zoom’ was the best of its type. 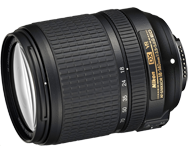 We’ve now had the opportunity to analyze the optical performance of its successor, the new stabilized Nikkor 18-140mm f3.5-5.6 ED VR model. Read on to see how well the combination performs. This is the second part of our lens recommendations for the Nikon D7100 where we’ve analyzed nearly 60 Nikkor and third-party standard and portrait prime and zoom models to assess their optical quality. Read onto find out which of these lenses are the best performers when paired with Nikon’s ultra-high resolution 24-Mpix APS-C format semi-pro model. This is part one of our lens recommendations for the Nikon D7100 where we’ve tested over 120 Nikkor and third-party prime and zoom models to assess image quality. Read onto find out which of these lenses are perform best when paired with Nikon’s 24M-Pix APS-C format semi-pro model.